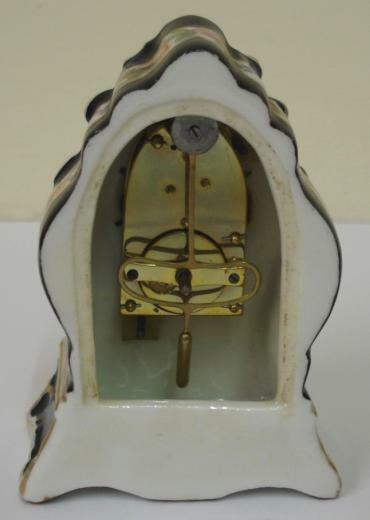 Stock Number: CLOC010 - Miniature Porcelain Bedside / Mantel timepiece - £625. 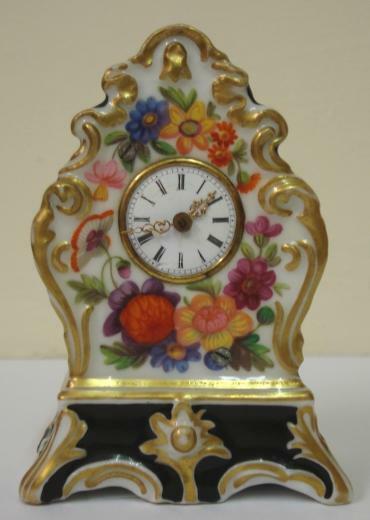 Good quality porcelain cased bedside or mantel clock with applied gilding and enamel flower decoration throughout. 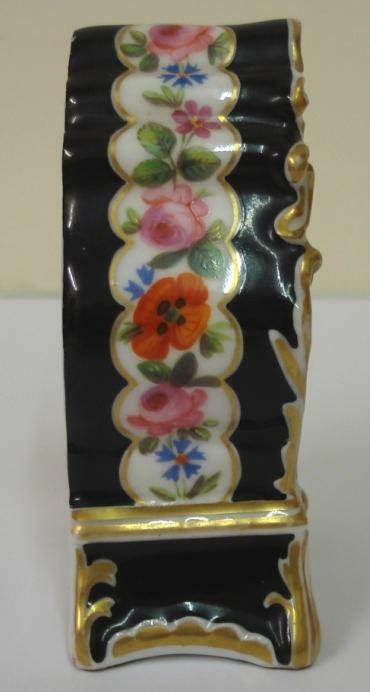 White enamel dial with slight damage, black roman hours and ornate gilt metal hands. Miniature brass spring driven late 19th century 8 day movement, maker unknown, with gilt pendulum. 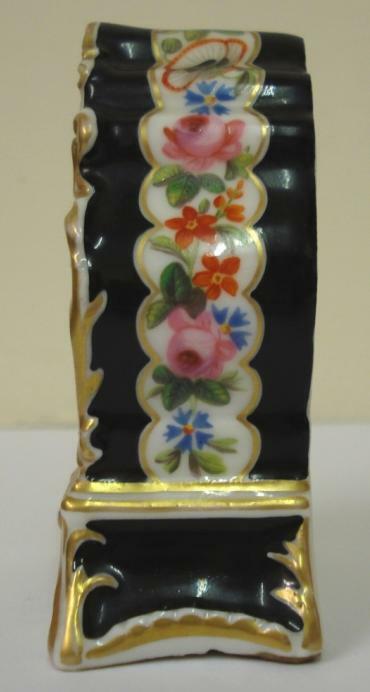 Dimensions: Height - 3.5", width - 2.25", depth - 1.5".